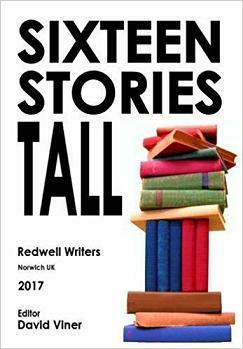 The Redwell Writers 2017 Anthology: Sixteen Stories Tall is available to buy here from Amazon. Published in December 2017 and containing sixteen very varied stories from seven of the Redwell members, it has been well received by those who have already purchased it. 2016 saw 4 new books coming from members of Redwell Writers. Mother Moon by Bob Goddard tells the story what happens in 2087 to a moon colony during a comet collision with the Earth. Mother Moon is available from Amazon (paperback and kindle editions) and Jarrolds. Running on Sand by Linda Atterton is a intense, claustrophobic but poetic tale set in the early 1970s on the Norfolk coast. Running on Sand. Neil Walker released his ecological thriller, The Ocean Killers as an ebook only. This can be obtained from Amazon. Christopher Woodall's novel November was also launched towards the end of the year and is available from Amazon. In 2009 one member, Christine Moore had her novel, Going Astray, published. Two other members were published in a Riptide anthology and First Edition magazine. In early 2007 three of the group first saw their work in print. Angles, edited by Ian Millsted and published by iande Press, is an anthology of short stories based within East Anglia. The book is available online via Amazon.co.uk.